A start-up company located in Bromont, Quebec, is launching a new line of commercial off-road vehicles, and even received financial assistance from provincial and federal governments. 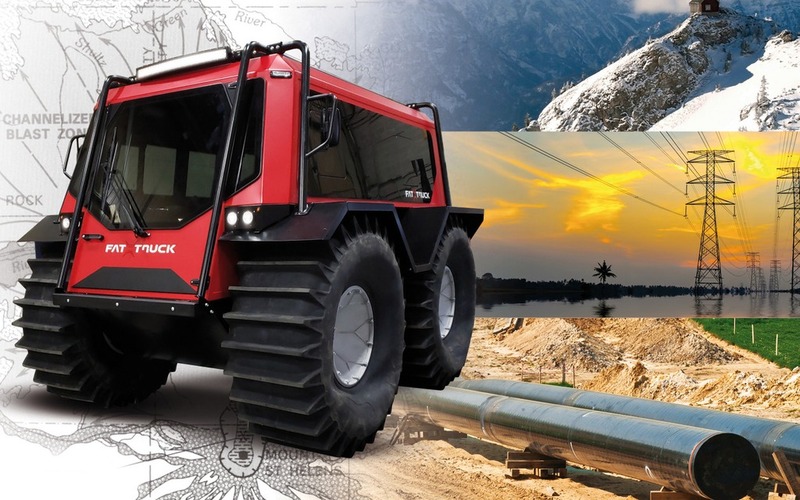 Destined for energy providers and mining companies who need to access pipelines, telecommunication towers and power lines in hard-to-reach areas, or first responders in disaster areas, the Fat Truck can confront any type of terrain, in any season, and is amphibious, according to Zeal Motor. Three configurations of the vehicle are available—the 2.8 C model can carry up to eight passengers, the 2.8 P has a pickup truck-like bed, and the 2.8 B comes with a tilting cargo bed. The four-wheel-drive Fat Truck is equipped with a Caterpillar-sourced, 1.7-litre turbo-diesel three-cylinder engine that develops 40 horsepower and 92 pound-feet of torque. No performance or capability numbers have been announced, but payload capacity is rated at 2,200 lbs. (1,000 kg). Options include air conditioning, brush guards, a winch, a cold weather kit, a tow hitch, a roof rack with rear ladder, a directional light with remote control, a backup camera, a roof hatch and a radio with Bluetooth connectivity. Zeal Motor was founded by Maxim O’Shaughnessy, Benoit Marleau and Amine Khimjee, and its manufacturing plant will create 15 jobs in the Bromont area over the next two years. The first units of the Fat Truck should leave the plant before the end of 2019.